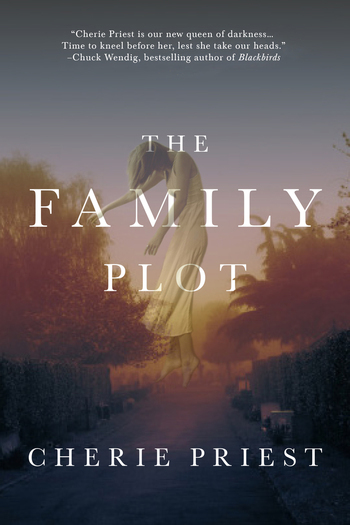 From Cherie Priest, author of the enormously successful Boneshaker, The Family Plot is a haunted house story for the ages—atmospheric, scary, and strange, with a modern gothic sensibility that’s every bit as fresh as it is frightening. The property is in unusually great shape for a condemned building. It’s empty, but Dahlia and the crew quickly learn it is far from abandoned. There is still something in the Withrow mansion, something angry and lost, and this is its last chance to raise hell before the house is gone forever. CHERIE PRIEST is the author of Four and Twenty Blackbirds; Boneshaker, the first book in the Clockwork Century series; and several other novels. She lives in Chattanooga, Tennessee.